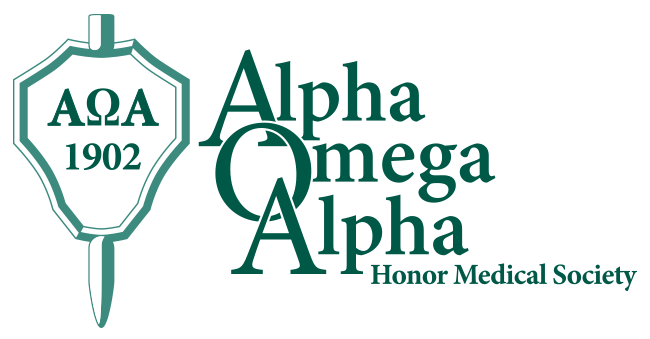 The Missouri Delta chapter of Alpha Omega Alpha, the national medical honor society, is seeking School of Medicine alumni members interested in being considered for membership. To be eligible, UMKC alumni must have graduated from medical school a minimum of 10 years ago. Criteria considered in the selection process include scholastic excellence, demonstrated professionalism, leadership capabilities, adherence to ethical standards, fairness in dealing with colleagues, achievement in medicine and/or research, and a record of service to school and community. Alumni who wish to be considered are asked to send a current copy of their CV as well as one letter of recommendation. Please include a current email address. If you are already a member and you prefer to nominate someone you feel would be a good candidate, please submit that individual’s name and email address, along with a letter of recommendation. The information will be considered by a nominating committee of AOA faculty members and student officers. The committee will select no more than four names from the submissions. These names will be considered at the spring selection meeting. From the names presented, up to two members may be elected to AOA membership as alumni members. In 2017, Sajid Khan was elected to AOA. He practices in emergency medicine, and has many accomplishments. For additional information about the nomination process, contact Dr. John Foxworth, councilor of the Missouri Delta chapter of Alpha Omega Alpha, at 816-235-1925 or foxworthj@umkc.edu. The School of Medicine’s faculty AOA officers are Dr. Foxworth and Dr. David Wooldridge, associate professor of medicine.